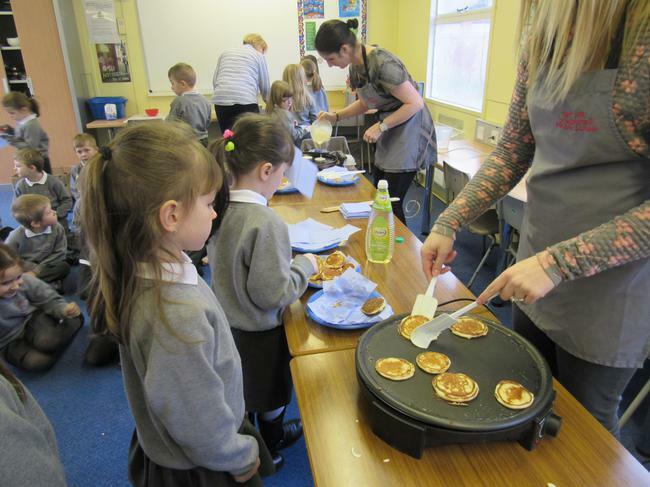 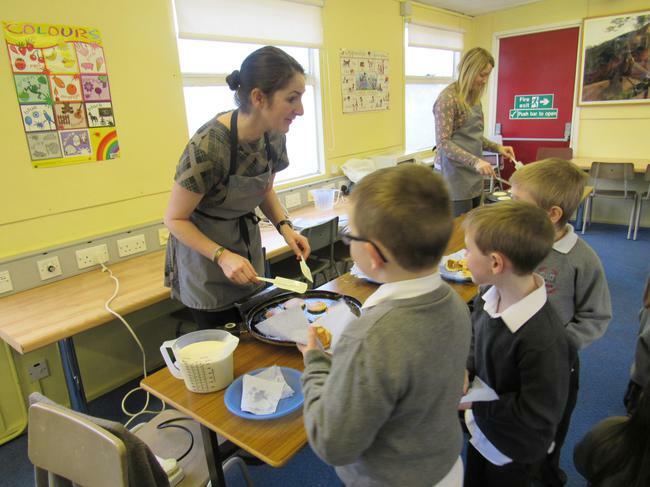 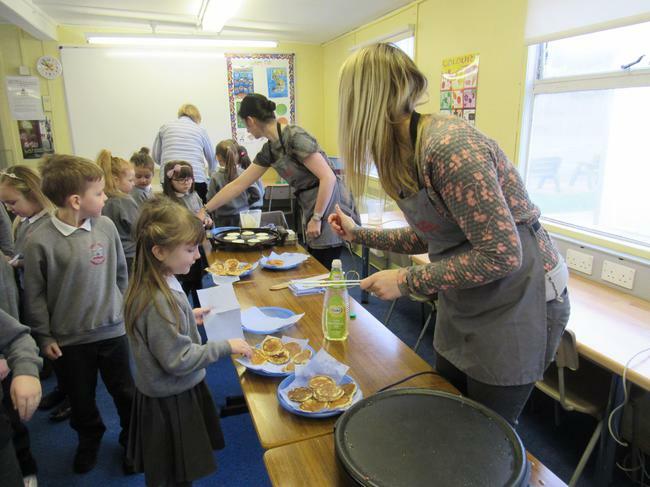 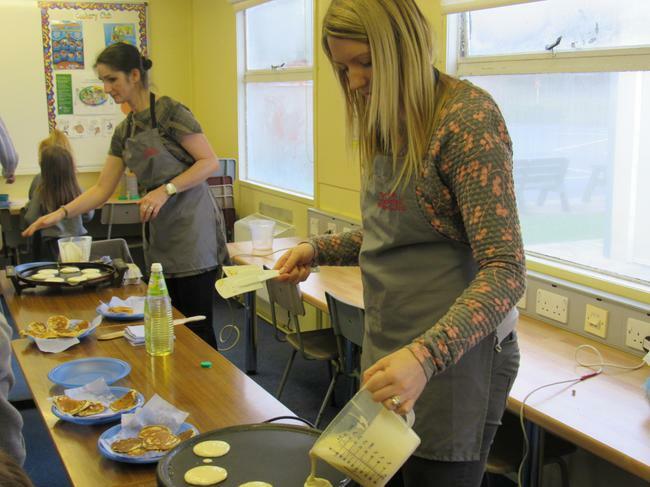 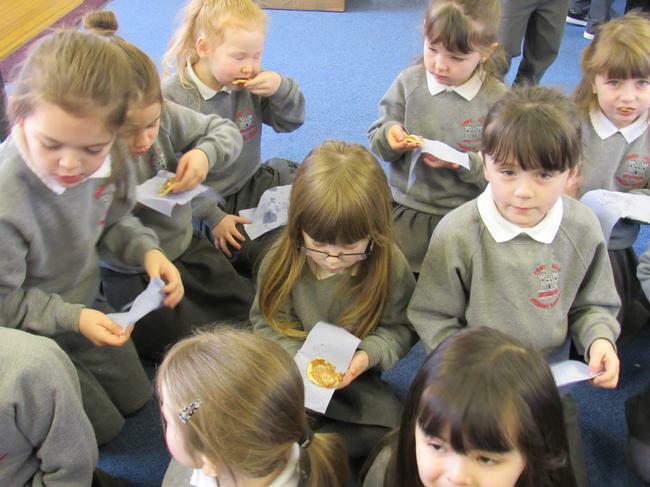 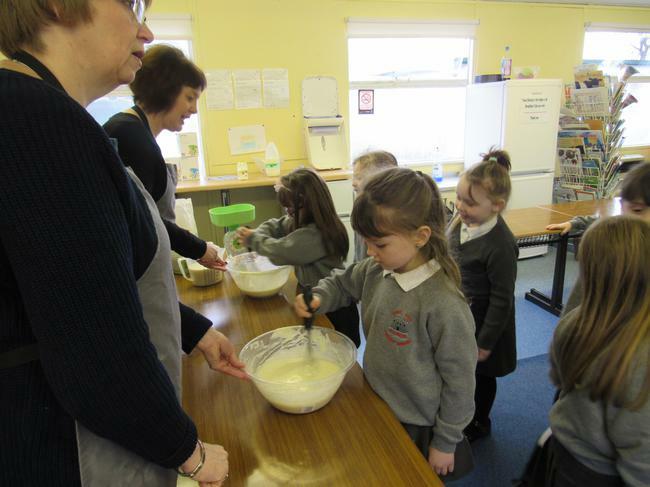 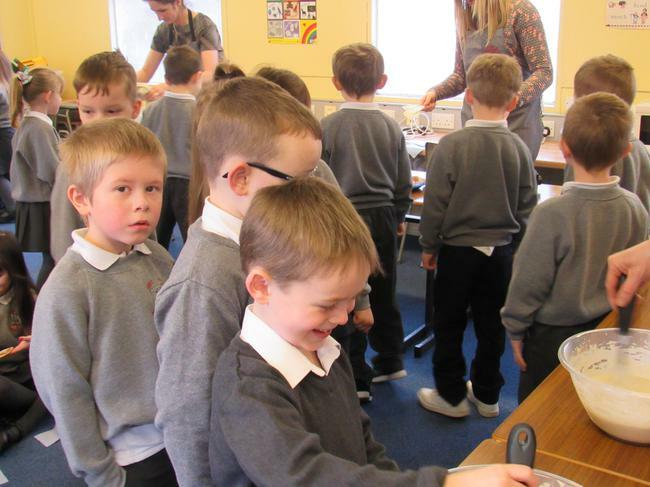 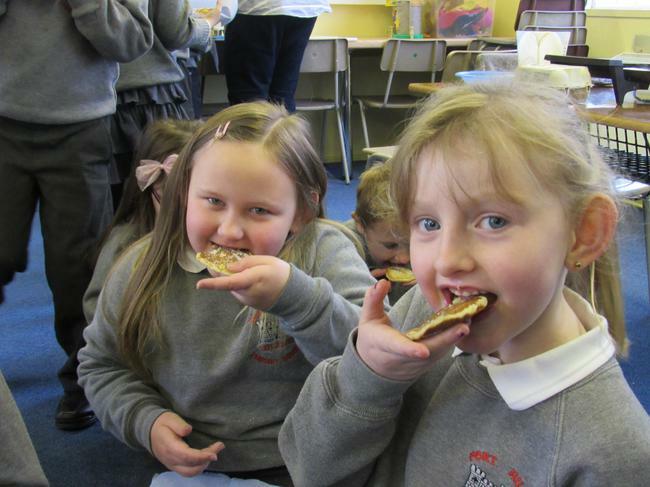 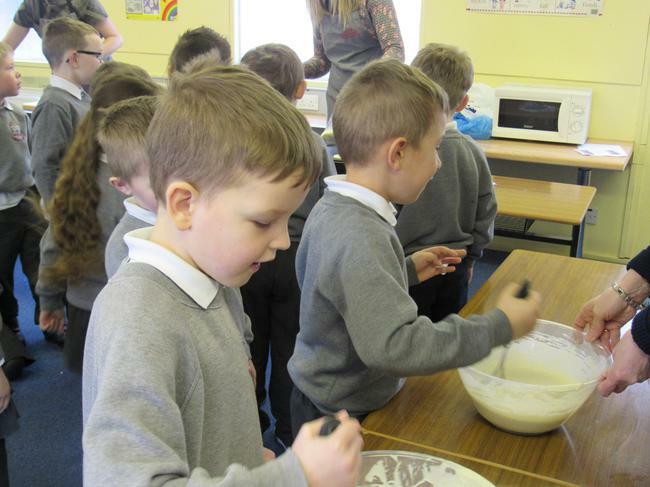 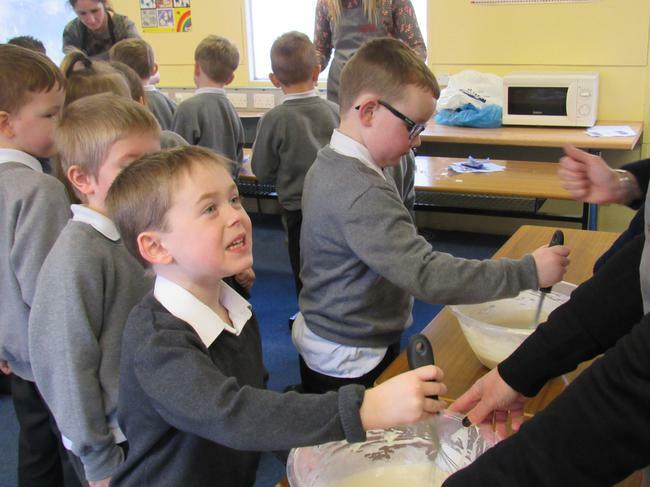 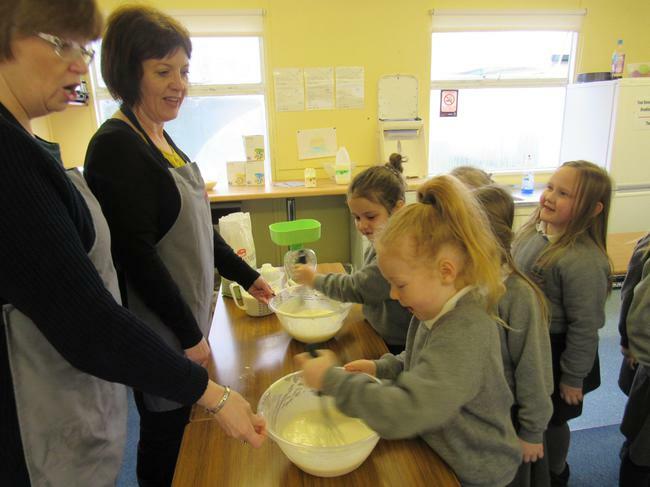 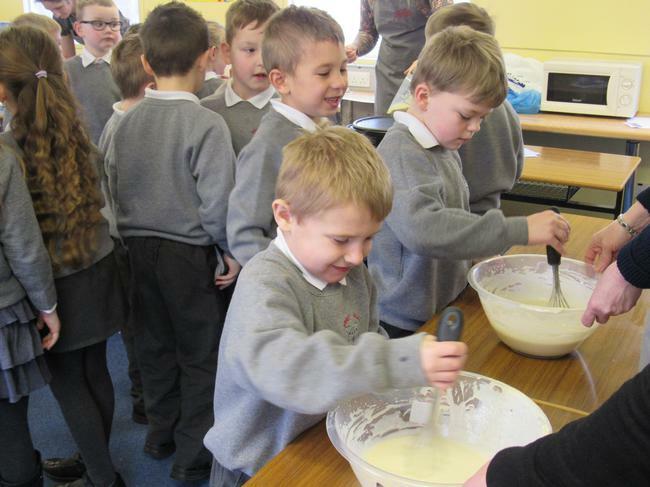 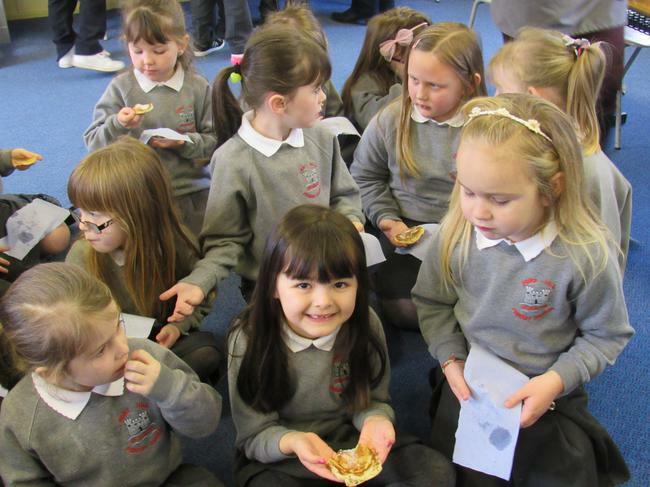 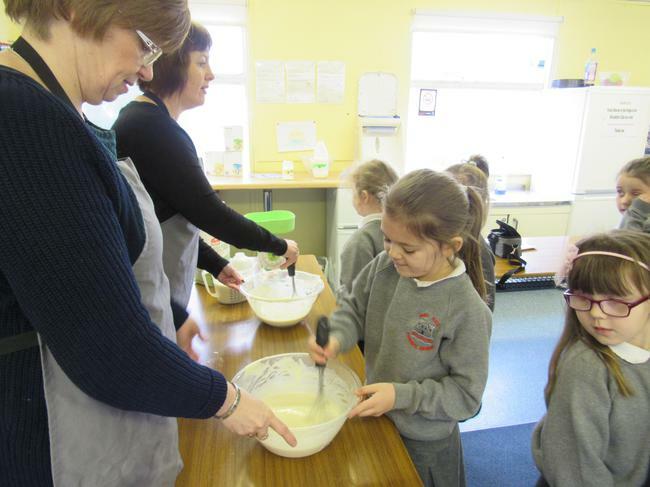 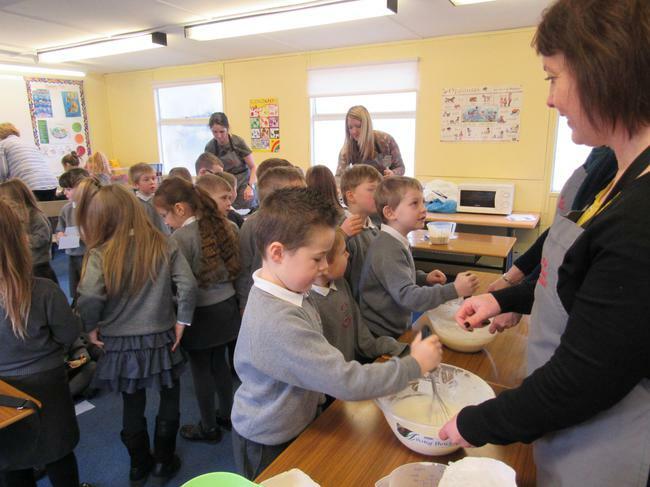 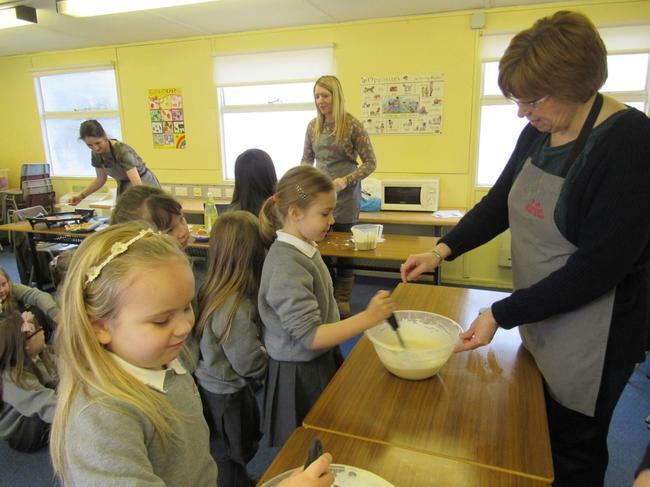 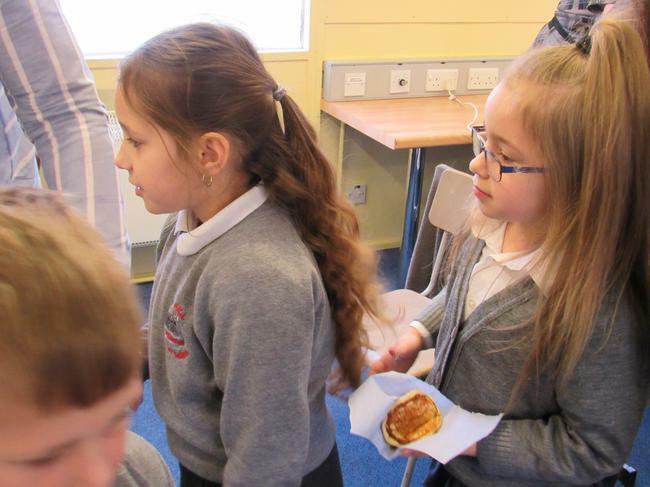 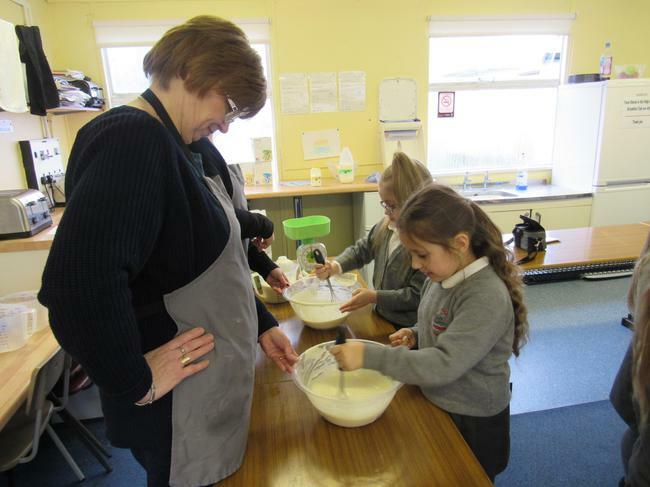 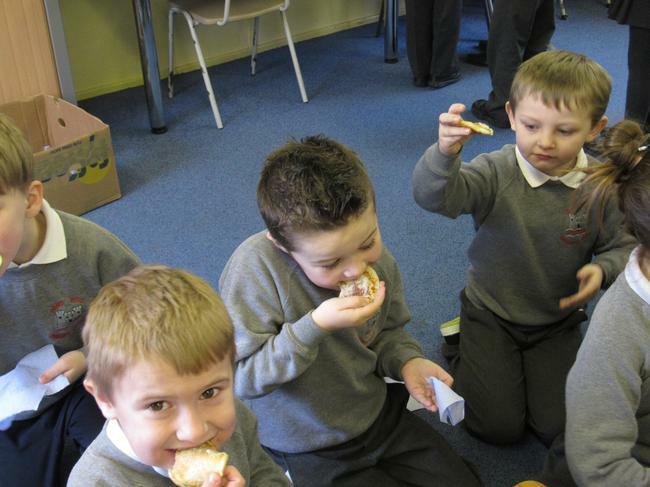 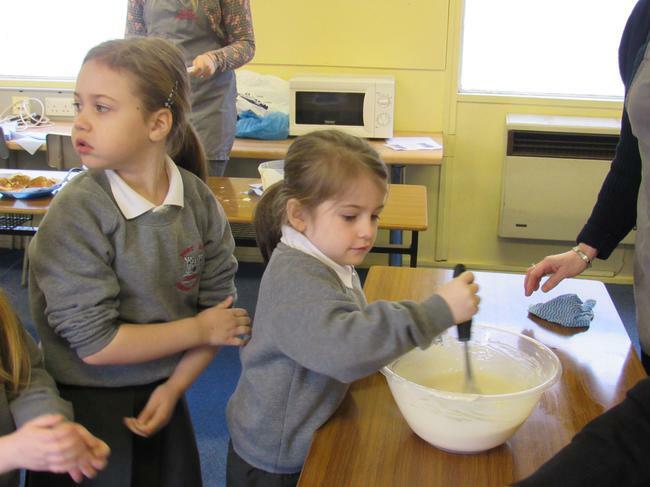 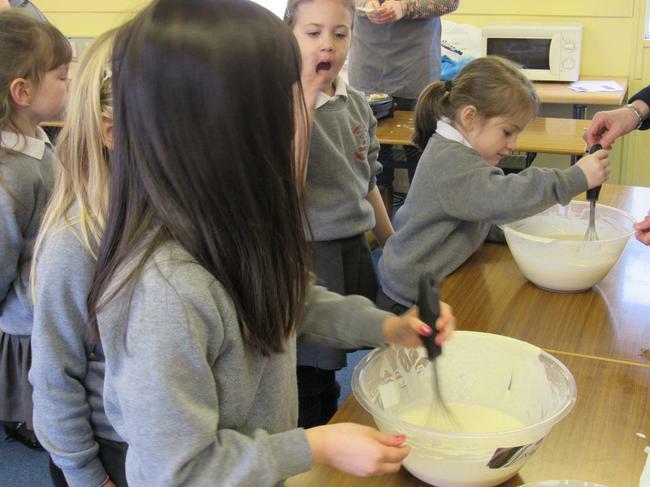 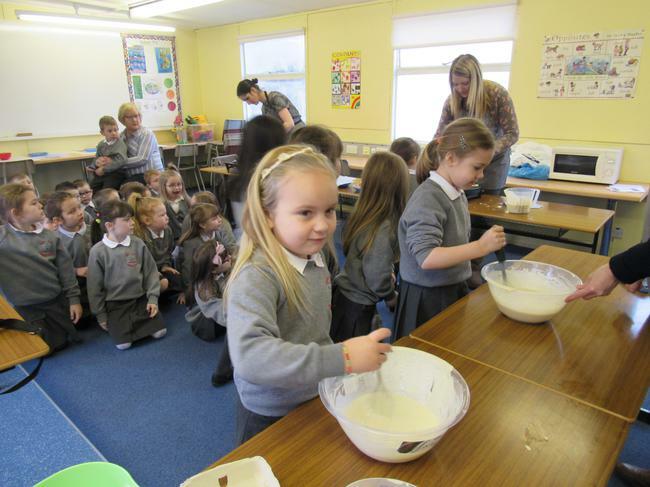 We celebrated Pancake Tuesday in school. 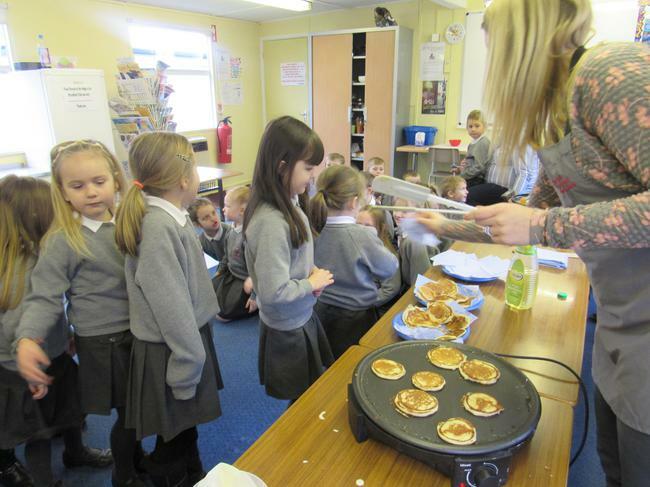 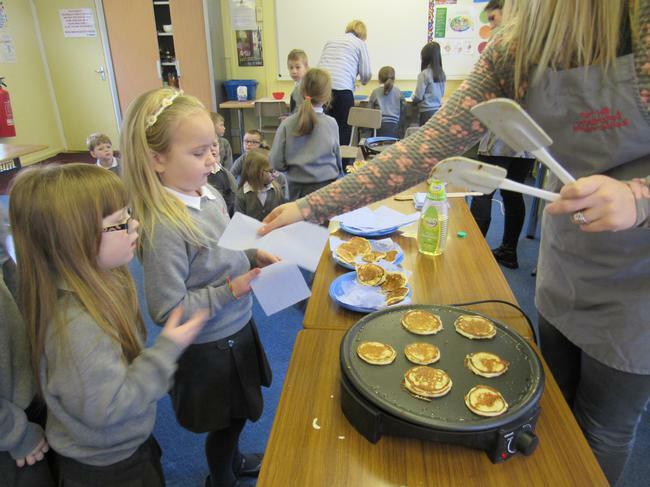 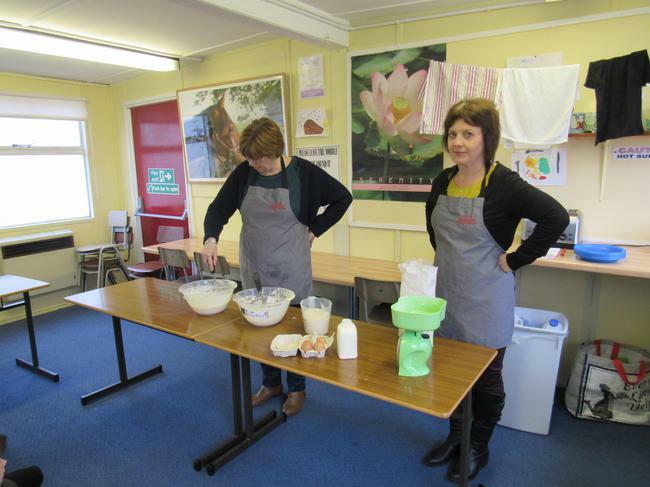 In assembly we were taught why we make pancakes on Pancake Tuesday. 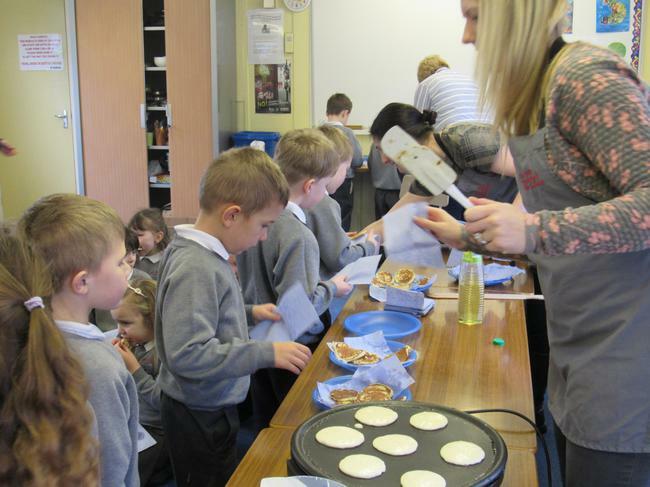 Then we all went over to the Parents' Mobile where we got to mix the batter, cook the batter and then best of all eat our pancake. 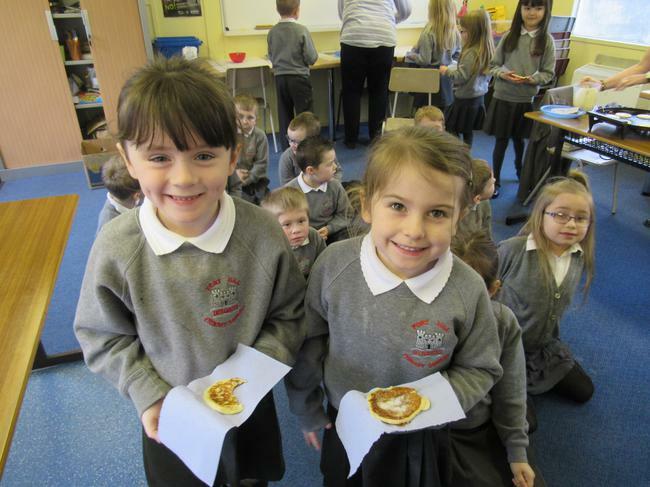 We could have butter, sugar and lemon on our pancake and it was YUMMY!